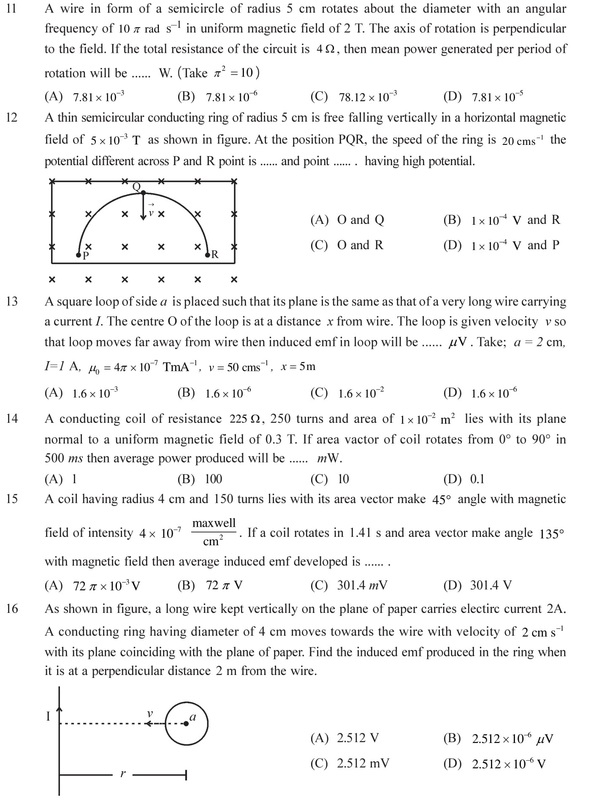 NCERT Solutions for Class 12 Physics Chapter 6 Electromagnetic Induction in PDF form English Medium free to download. 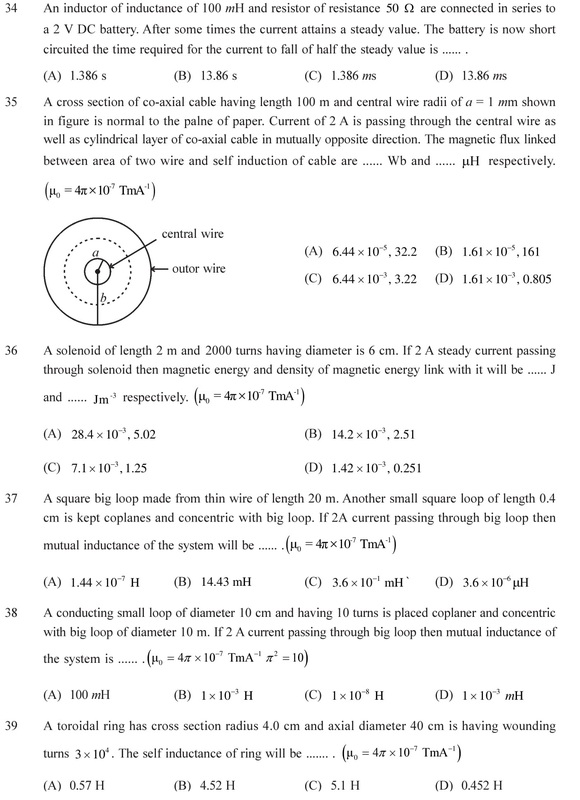 These solutions are based on new CBSE Syllabus for the the students of UP Board, CBSE Board, MP Board and all other board whose are following NCERT Books as their course books. 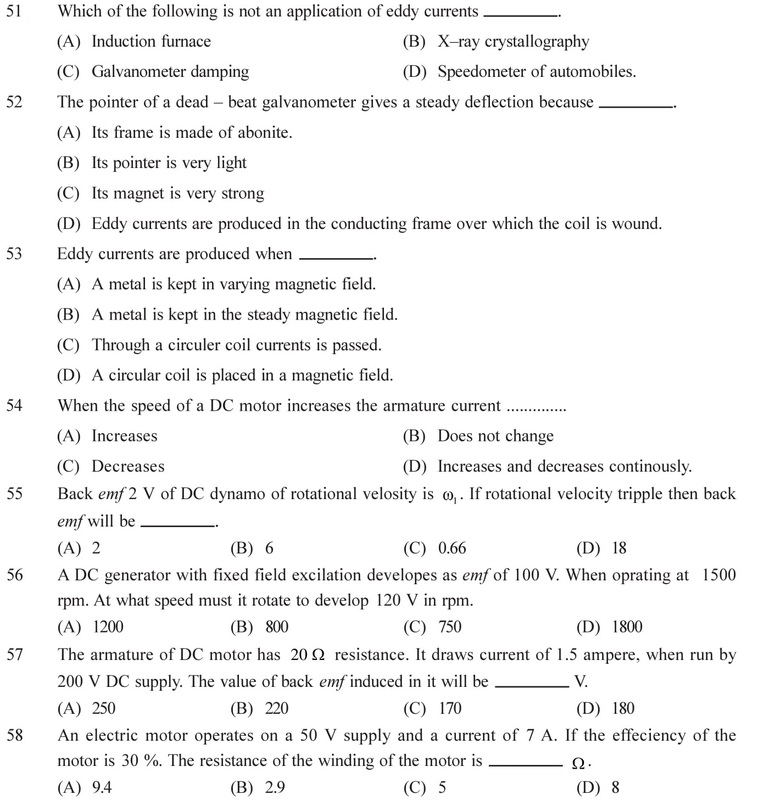 Following are the questions based on Higher Order Thinking Skills (HOTS) for CBSE Exams as well as NEET, JEE Mains, AIIMS and other competitive exams. All the questions are given topic wise. The magnetic flux linked through any surface placed in a magnetic field is the number of magnetic field lines crossing this surface normally. 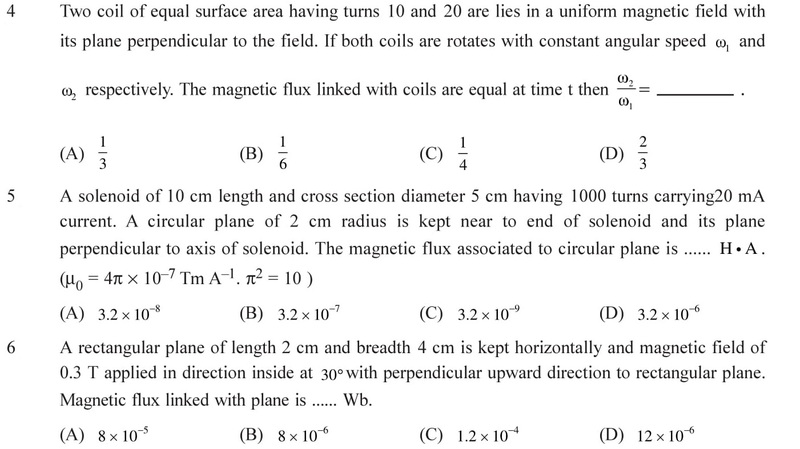 Dimensional formula and its the unit of magnetic flux. See Answers. 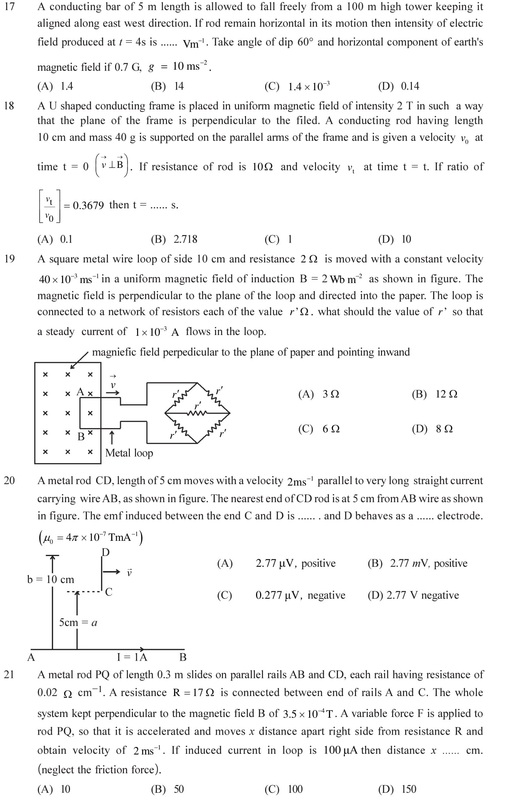 The phenomenon of Electromagnetic induction, computation of induced EMF for closed coil using Faraday’s law and equation for induced EMF. 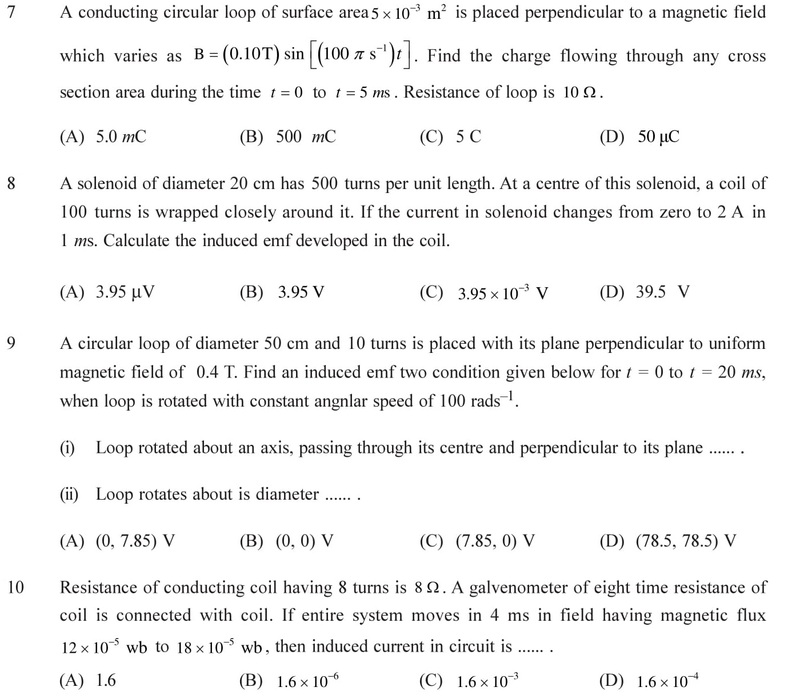 Lenz’s force and use of Lenz’s law to calculate force, when induced current pass through a coil. See Answers. Conducting electron in a rod experience a magnetic force during its motion, so, one end of rod becomes positive while the other end of rod becomes negative. 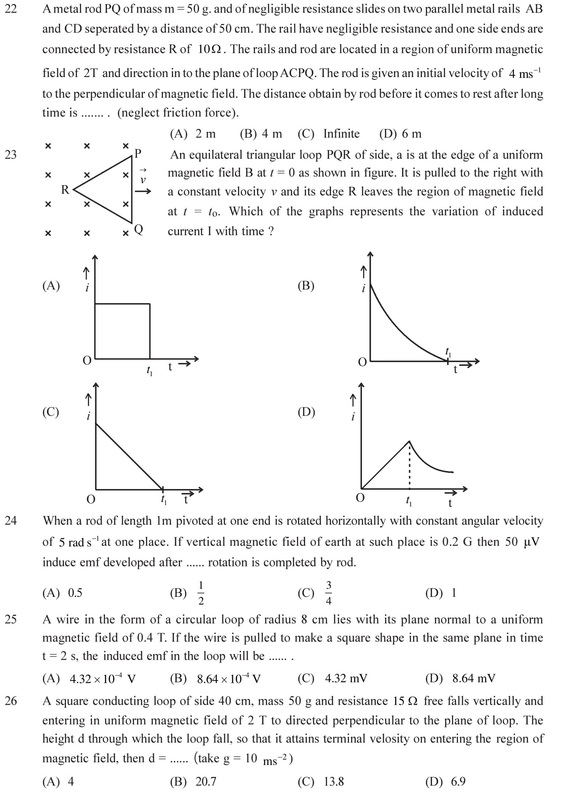 An electric field is set up within the rod which is oppose motion of electron. See Answers. Inductance is that property of electrical circuits which oppose any change in the current in the circuit. 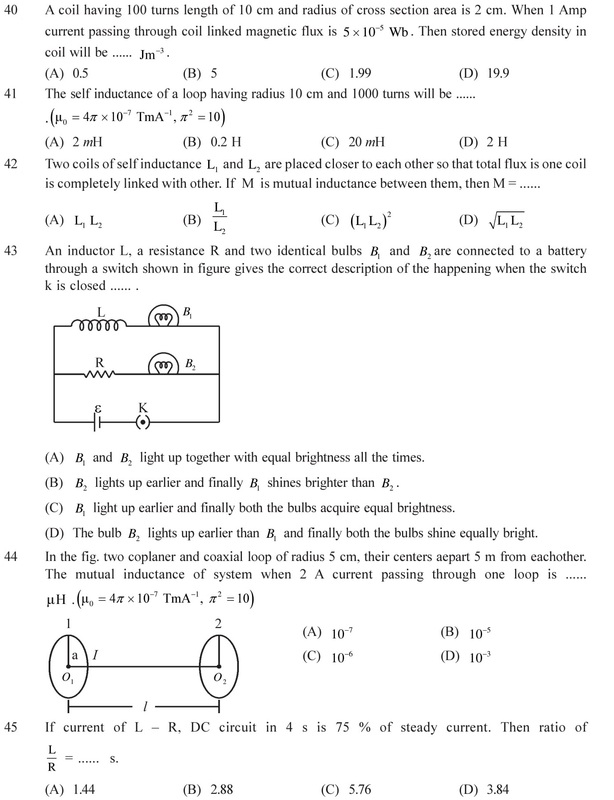 Inductance is the electro-magnetic analogue of mass (m) in mechanics. 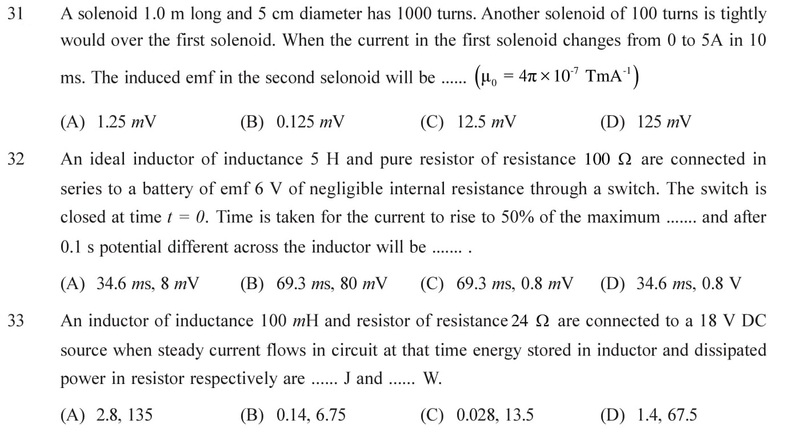 Self induced current opposes any change in the current in a circuit. If two conducting coils are kept close to each other and a steady current I passed through one coil, magnetic flux links with the other coil. See Answers. 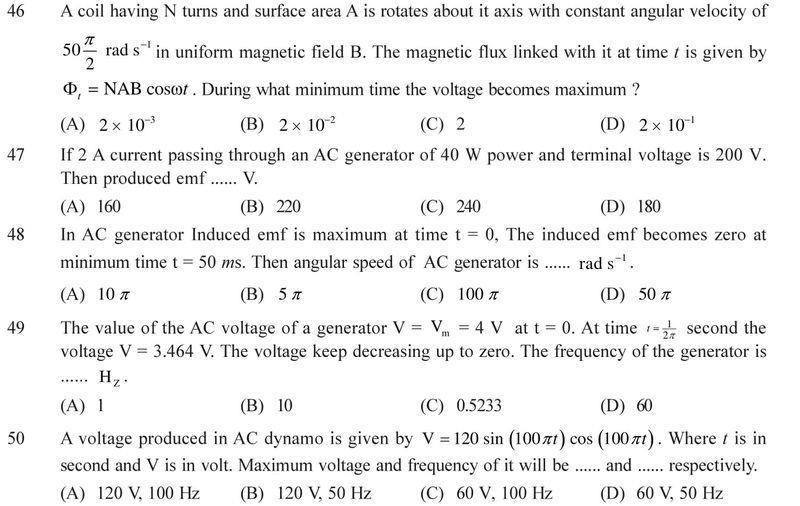 Principle and wording of Dynamo – AC Generator. The direction of the induced emf of the current in the coil is determine by the Fleming’s right hand rule. See Answers. Advantage and disadvantage of Eddy current. 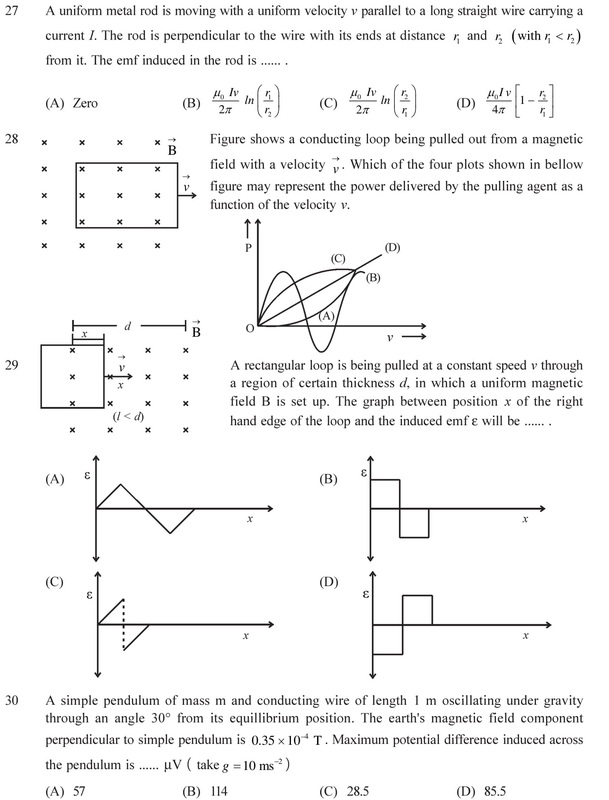 Whenever a solid conductor is kept in a region of varying magnetic field the magnetic flux linked with the conductor changes and induced emf is produced by induction. As a result circulatory currents are induced in the plane normal to the direction of flux. These currents are distributed through out the conductor. These are known as Eddy currents. See Answers. 78 (C), 79 (A), 80 (A), 81 (B), 82 (D), 83 (B).